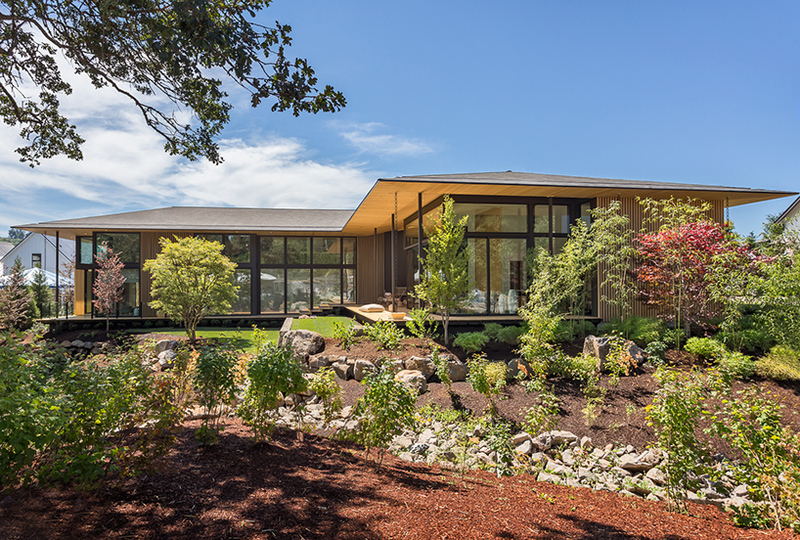 kengo kuma has completed a residence in portland, oregon for japanese homebuilder, suteki. 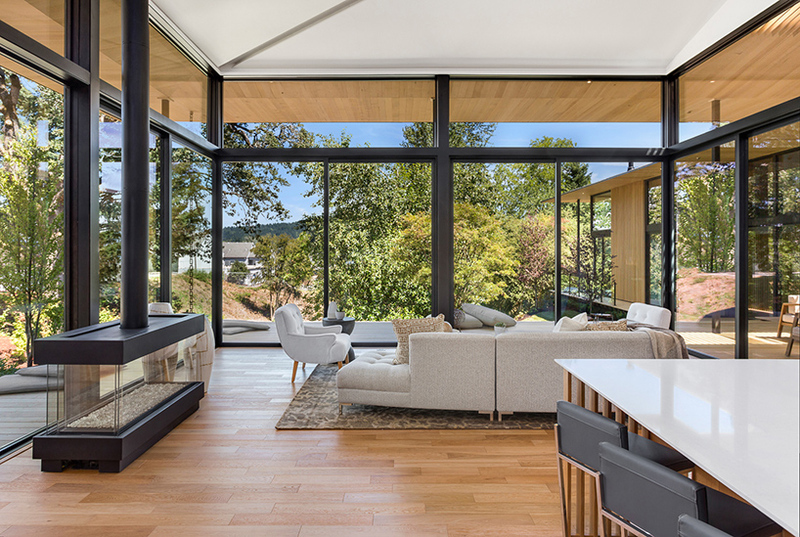 kuma, who is currently working on tokyo’s 2020 olympic stadium, has recently designed a number of projects in the pacific north west, including the cultural village for portland’s japanese garden and a restaurant that features sudare screens hung from the ceiling. 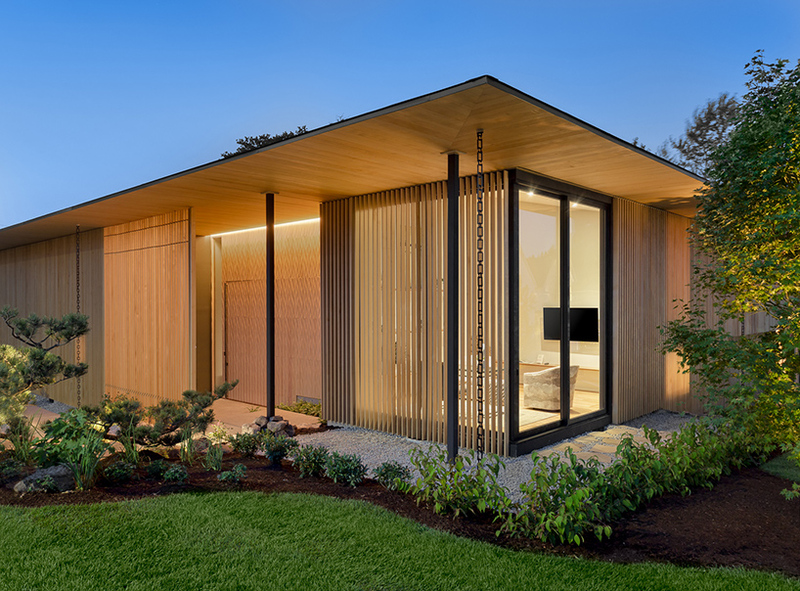 kengo kuma’s design was unveiled at the 2017 edition of street of dreams — an annual event that presents a range of residences from the city of happy valley. 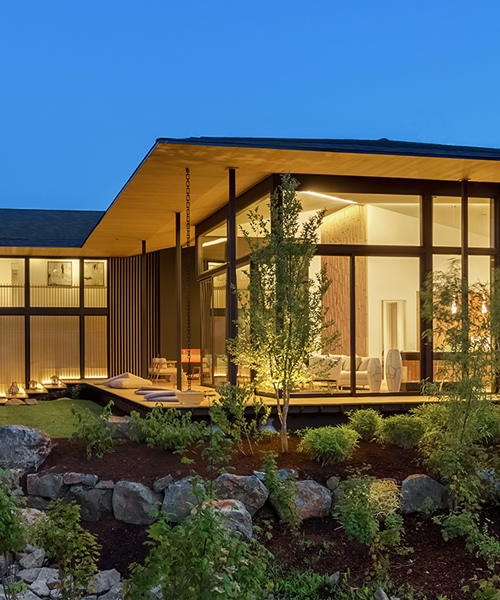 the project forms suteki’s first U.S. home, with the company planning on building more dwellings in the region in the coming months. 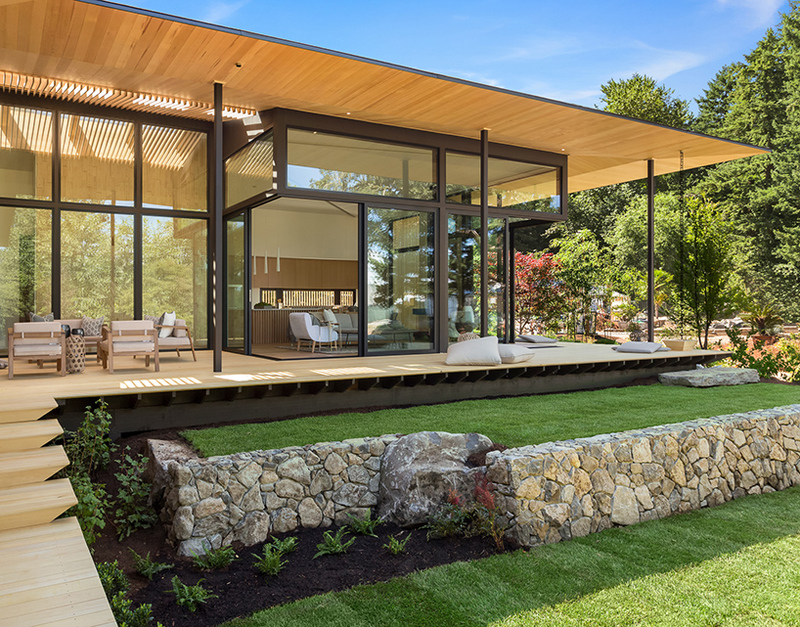 ‘we are bringing a unique cross-cultural concept to our designs, combining the best of american modern amenities with the timeless japanese principles of strength, harmony and balance with nature,’ explains koichiro hirata, group CEO of suteki. 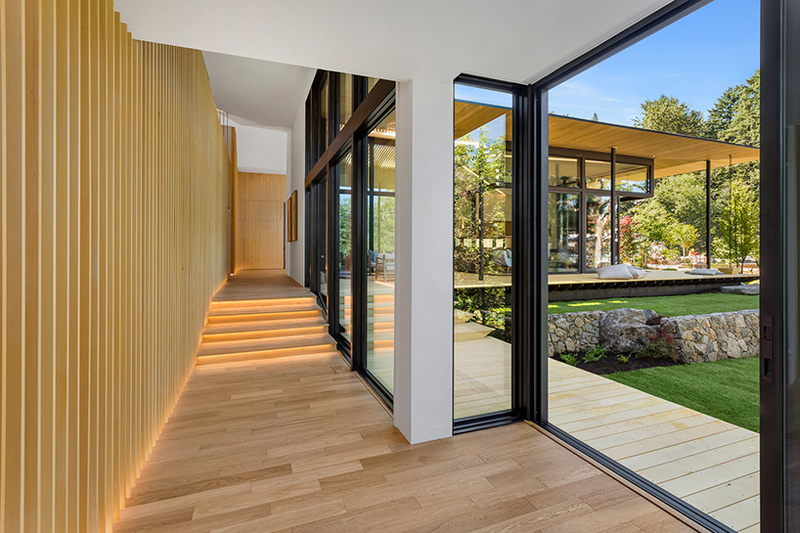 in developing the project, kengo kuma drew from suteki’s philosophy of creating seamless indoor and outdoor living spaces built around nature. 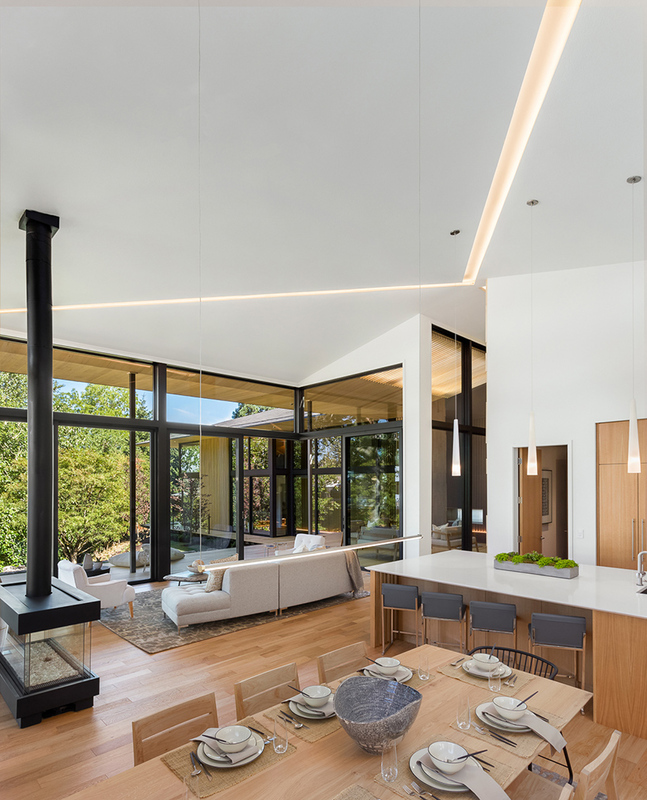 combining elements of traditional and contemporary design, the property offers clear views without obstruction and employs a wide range of natural materials such as wood, tile, and stone. 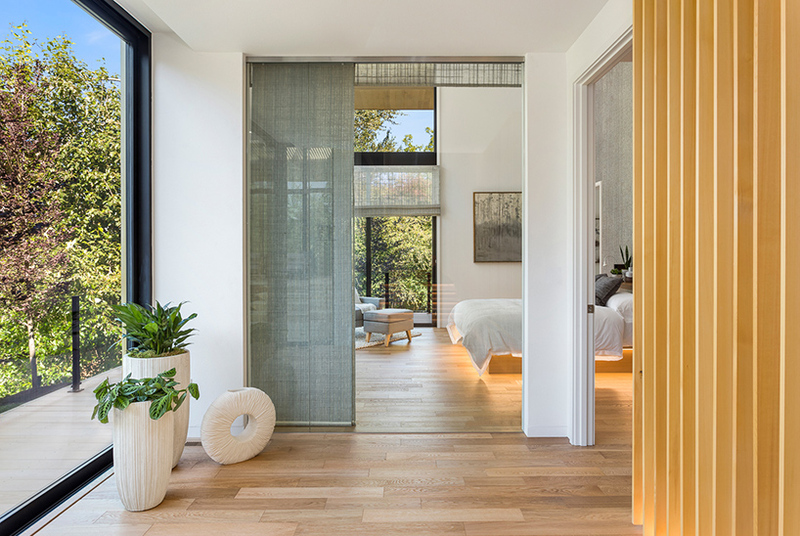 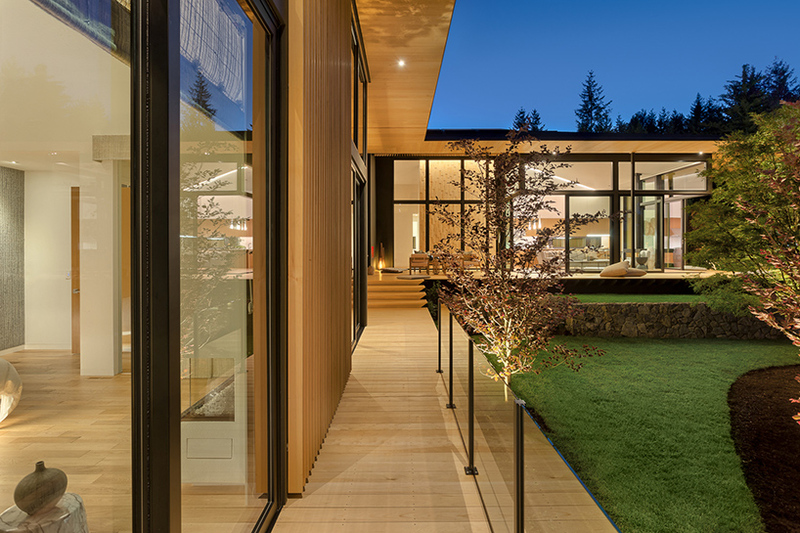 the scheme even incorporates the surrounding landscape — a giant oak and sequoia tree, and a stream that runs alongside the property — as an integral part of the home. 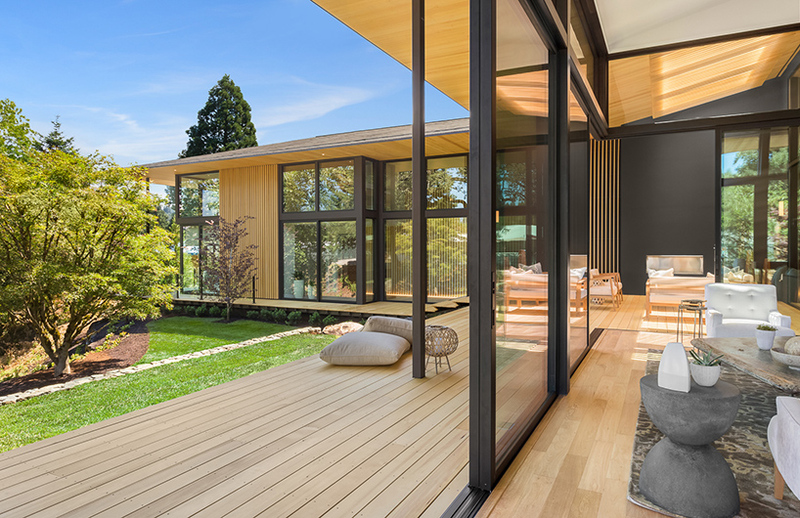 the garden, which has been designed by sadafumi uchiyama, maximizes views from both inside and outside the home, while a continuous wooden deck borders the house. 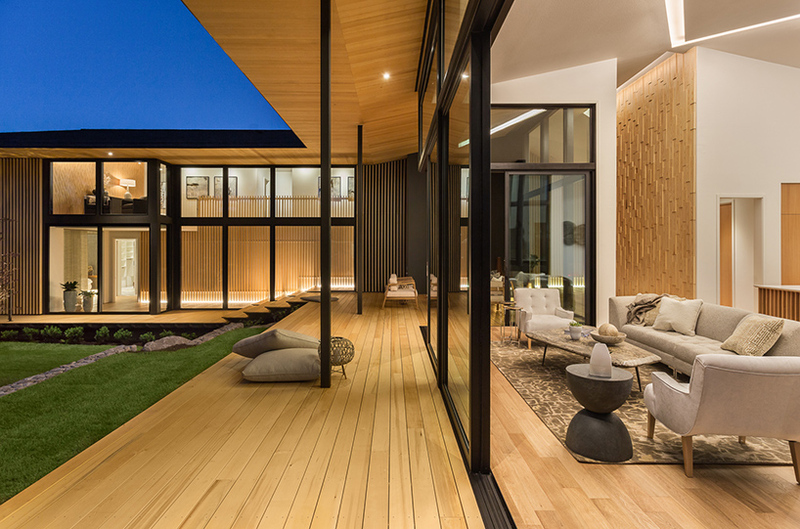 here, residents and their guests are sheltered by the home’s deep eaves, which allow the outdoor space to be enjoyed throughout the year. 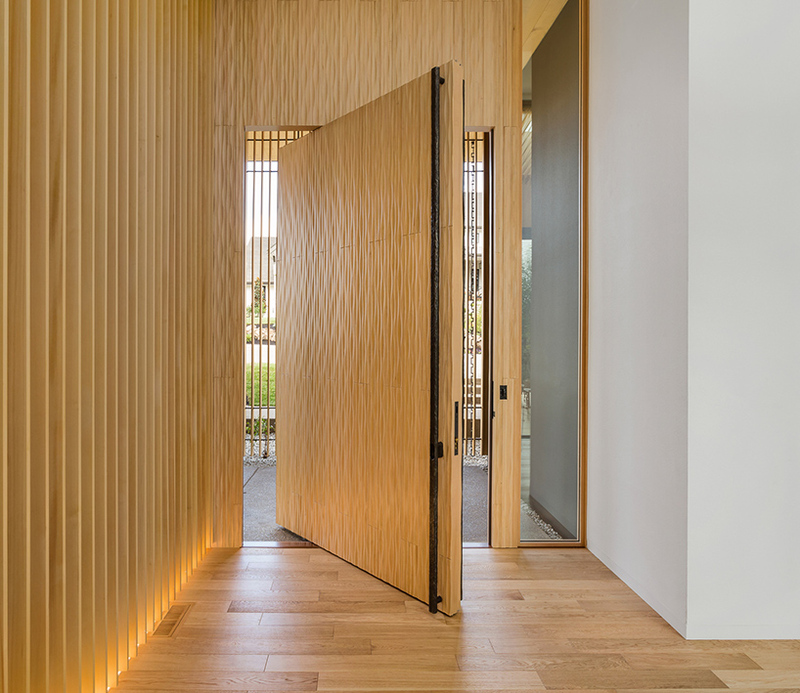 ’embracing the surroundings, insisting on natural materials, sustainability and transparency creates a space where people can experience nature more completely and intimately,’ explains kengo kuma.